Each student at the School of Divinity brings her or his own interests and lived experiences to our learning community. Student organizations at the School of Divinity reflect the diversity of student needs and interests, and provide opportunities for leadership in programming efforts and community engagement that reflect our values of justice, reconciliation, and compassion. Student organizations are supported by the Office of Student Services and are given resources through the Student Leadership Council (SLC) to implement activities. To read more about student life and student services at the School of Divinity, please review the information included in the 2017-2018 Bulletin. The Student Leadership Council (SLC) of the School of Divinity is the constituted student governing body. The SLC gives voice to student concerns in the School of Divinity and in the broader University. 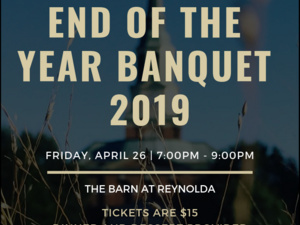 Elected by the student body, representatives of the SLC coordinate special events, sponsor various organizations, and appoint students to the School of Divinity’s standing committees. The Student Government elects officers in the Spring of each academic year. The Student Leadership Council (SLC) is the established liaison between faculty and students and has established a number of sub-committees to serve our School of Divinity community. To present itself as a community of faith, under the Gospel of Jesus Christ, in witness and in fellowship. To provide students with programs, activities and services. To represent the Student Association before School of Divinity’s administration. To collect and raise money to help accomplish these purposes. The Academic Affairs Committee (AAC) works as a liaison between the student body, faculty, and administration regarding academic concerns. This work includes, but is not limited to making recommendations about curriculum, academic requirements, class and schedule changes, library issues, and obtaining resources needed to enhance learning. 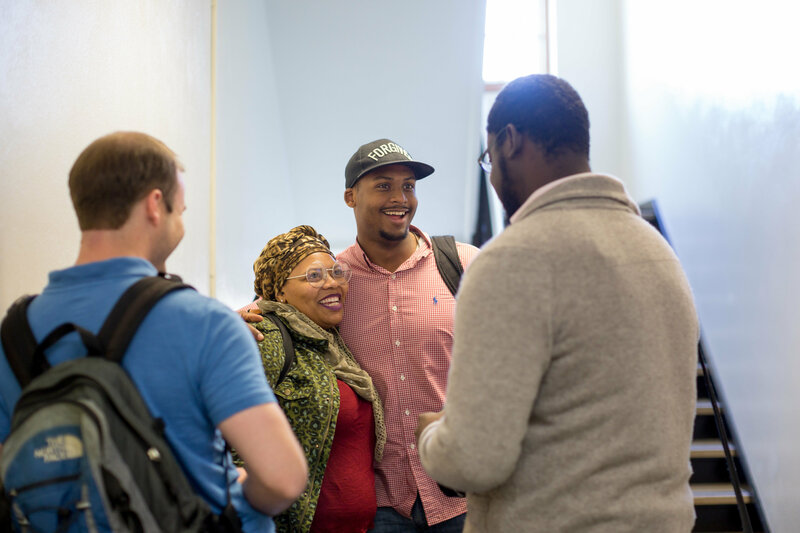 AAC also provides co-curricular workshops on subjects such as: PhD Forums, Chaplaincy, Children’s Ministry, Racial Reconciliation, and other workshops as desired by the student body. The Outreach Committee is involved in developing and implementing various service projects throughout the school year. These projects seek to tangibly invoke a spirit of ministry to the less fortunate of the larger Winston-Salem community. The Merchandise Committee is involved in the creation, execution, and retailing of School of Divinity merchandise to our community. Because the WFU Bookstore does not offer School of Divinity-specific merchandise, our committee helps to stylishly celebrate all things divine. Akoni is a student organization of Wake Forest University School of Divinity dedicated to providing a platform for students of African ancestry and all registered students, faculty, and staff to explore theological education focused on the black religious experience, the Black Church as an expression of black religion, and the social, religious and political needs and concerns of the students and the black community. Amazing Grace is a group of dancers dedicated to using the body as a means of expression in worship. Using different styles of dance, Amazing Grace offers an opportunity to bring dance into the space of worship, ministering during Community Worship and other events at the School of Divinity. They welcome all who are interested to join! Beatitudes is a student organization that gathers biweekly at the home of one of our student leaders to share a home cooked meal and a time of spiritual reflection. We believe that community, spirituality, and wellbeing are all integral parts of our time in Divinity School. Therefore, Beatitudes provides a regular time to nourish soul, mind, and body. We believe that we encounter God and grow closer to the Divine through the fellowship, mutual vulnerability, and deep connection we share during our time together. Commonplace seeks to deepen the knowledge, formation, and sense of community of those concerned with ideas of food, health, ecological justice, and faith. This student organization organizes hiking trips, share meals, attend events off-campus, and serve together. We also sponsor community lunches periodically which are sourced locally. The primary goal of Kaleidoscope is to serve as a safe and welcoming environment for lesbian, gay, bisexual, transgender, queer, questioning, intersex and allied students, faculty, and staff from all cultural, socio-economic, ethnic, and ecumenical backgrounds. Additionally, we seek to provide opportunities for all divinity school students, faculty, and staff to ask questions and dialogue with mutual respect so as to promote understanding of and engagement with LGBTQ matters. Kaleidoscope is a voice for the full and equal participation of LGBTQ people in all areas of our shared academic, social, and faith life. Lastly, Kaleidoscope serves as an educational resource to all divinity school students, faculty, and staff, promoting awareness of the challenges faced by LGBTQ people of faith, affirming theological and biblical perspectives. Membership is open to all Wake Forest Divinity School students, faculty, and staff who are committed to Kaleidoscope’s collective goals. Lift Every Voice aims to provide opportunities of worship through music. They are a group of singers and musicians who rehearse weekly and often minister in Chapel and in the greater Winston Salem community, through gospel music. Lift Every Voice welcomes all that want to be apart of this ministry as singers or musicians as we continue to grow, expand to different styles of music and minister through song. A group of students that seeks to share the experience of God through artistic expression. The group desires to nurture and facilitate spiritual growth and expression through various artistic media. Mosaic exists to promote the use of the arts in the worship, service, contemplative, and communal life of the Divinity School, as well as the larger university and Winston-Salem community. The group is open to all, not only the artistically inclined. The PCSO is a gathering of Pentecostal/Charismatic students at Wake Forest University School of Divinity as well as any student interested in the study and/or practice of Pentecostalism. The PCSO provides a scholarly and sacred space for the exploration of socio-cultural identity expressions, theological formation, and spiritual direction among Pentecostal/Charismatic Christians, combining historical-critical and interdisciplinary religious studies with active participation in faith communities. Any and all students are welcome to engage with any of PCSO’s activities. In order to further the School of Divinity’s celebration of whole body wellness, the Physical Wellness Club seeks to create a fun and positive means for students, faculty, and staff to be active, stay healthy, and build community. This organization coordinates individuals and groups of students who wish to participate in Wake Forest University-sponsored events such as Intramurals and the annual Hit the Bricks Fundraiser. Additionally, the Physical Wellness Club provides students with requested resources and opportunities for physical wellness throughout the academic year. Sistah Circle consists of women working together to encourage and uplift the ministry of fellow members, curate educational, social, and restorative gatherings, lead worship, and host events with other organizations that reflect its mission towards all women. Mission: To empower and support women of color who face unique challenges in divinity school, ministry, and beyond. To create fellowship and collaborative efforts that holistically caters to the specific needs of all women. Vision: To create fellowship and collaborative efforts that holistically caters to the specific needs of all women and especially to women of color. The Tablet is a student-ran publication of the School of Divinity and serves as an informative, community-building vehicle. Read the latest edition. Women’s Work is a fellowship of women who are passionate about womanhood, specifically in the ministry. It is a sacred space for women to share experiences as well as an opportunity for women to safely explore the power of their own voice. The group invites distinguished faculty and community leaders to lead discussions around topics that help the women of the divinity school grow into ministerial identities. Women’s Work welcomes the divinity school community of men to join in and hear the voices of these distinguished women throughout the semester.